The 2018 Honda Fit is This Month’s Favorite Island Vehicle! Here’s Why. The 2018 Honda Fit may be small but it sure is mighty! Whether you’re taking a short ride to the Kona Farmers Market or riding across the island to visit Onekahakaha Beach Park, the Honda Fit will get you there in style and with little appetite for fuel. Here’s why it’s this month’s Big Island Honda’s favorite island vehicle. The 2018 Honda Fit easily outshines competitors like the Toyota Yaris, offering an all-new unique, yet sporty finish to complement its aerodynamic efficiency. Its sleek exterior was redesigned to showcase the front-end of the vehicle with the help of body lines made to contour the car with attitude. While the front makes a statement of its own, the back hits all the angles, as well. The LED tailgate lights and chrome trim make it easy to navigate through the Hilo during the darker hours. 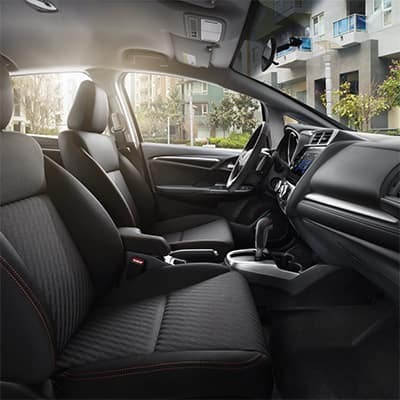 This is the moment all Honda lovers have been waiting for; a compact car with a more than spacious interior. With its distinctive 60/40 Magic Seats and four unique interior combinations to maximize space, you will never run out of room when loading up cargo for an adventure-filled day on the Big Island of Hawai’i. If you’re more of a hands-on kind of person, this sporty five-passenger hatchback even comes with a 6-speed manual transmission (6MT) for an even more personalized experience. Need to get to the other side of the island? 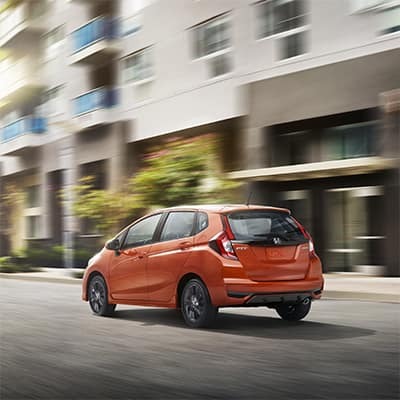 The 2018 Honda Fit receives a combined 40 mpg (CVT)/ 36 mpg (6MT)! Plus, the Honda Fit also offers the ECON feature to help optimize your fuel economy even more. Choose to bundle up those savings, and you can indulge in the available leather seats, or Apple CarPlay and Android Auto. Let’s not forget the driver-friendly steering wheel that allows you to control the audio, phone and voice command, all while keeping your eyes glued on the road. After a long day at work, being stuck in traffic on Hawai’i Belt Road with a low battery mobile device is the last thing you want. Peak into the center console, plug in your phone to the USB port, and tell your voice command to crank up the music! Honda keeps safety in mind when it comes to the 2018 Honda Fit. Check out their multi-angle rearview camera with guidelines to help you when you’re in a tight situation. This compact car has so much more to offer than it may seem. Getting a little sleepy on the ride home from work? 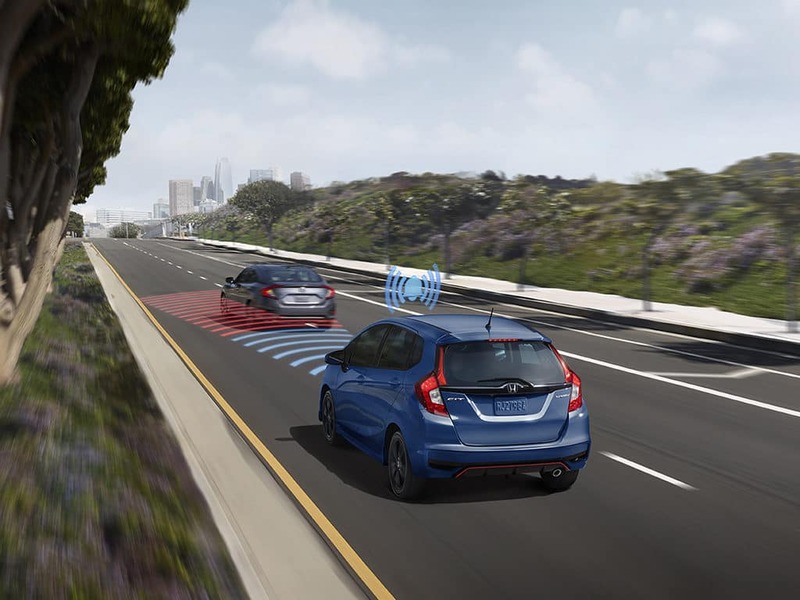 The Fit offers Honda Sensing with features like Lane Keeping Assist to keep you alert on the road. Come visit us at Big Island Honda today and see for yourself why the 2018 Honda Fit is a favorite! Click below to browse our inventory on new Honda models and schedule your test drive today. When you get to our dealership, don’t forget to ask about our finance specials! 0 comment(s) so far on The 2018 Honda Fit is This Month’s Favorite Island Vehicle! Here’s Why.